My name is Walter O'Brien. I have the fourth-highest IQ ever recorded: 197. Einstein's was 160. When I was 11, the FBI arrested for me for hacking NASA to get their blueprints for my bedroom wall. Now I run a team of geniuses, tackling worldwide threats only we can solve. Toby's our behaviorist. Sylvester's a human calculator. Happy, a mechanical prodigy. Agent Cabe Gallo is our government handler. And Paige? Well, Paige isn't like us; she's normal. She translates the world for us, while we help her understand her genius son. Together, we are Scorpion. Today I bring you a small review of one of my favorite TV Series at the moment: Scorpion. Here in Ecuador, the 1st Season, streamed on AXN, has just finished (even though the 2nd season is premiering in less than two weeks in the U.S) so, please, I would appreciate it if you didn’t slip any spoilers about the 2nd Season. So, I’ve been watching this series ever since it got premiered in my country and I never missed the new episodes. This series is about a group of geniuses that, aided by Agent Cabe Gallo, solve some mysterious threats for Homeland Security. Each member of the group has its fort: Walter O’Brien is a genius and a computer expert; Toby Curtis is a behavioral psychiatrist; Happy Quinn is a genius mechanical engineer; Sylvester Dodd is a genius mathematician and statistician, who also suffers from OCD and anxiety; and Page Dineen acts as a mediator between the geniuses and their “clients”, and also helps them to communicate with each other. 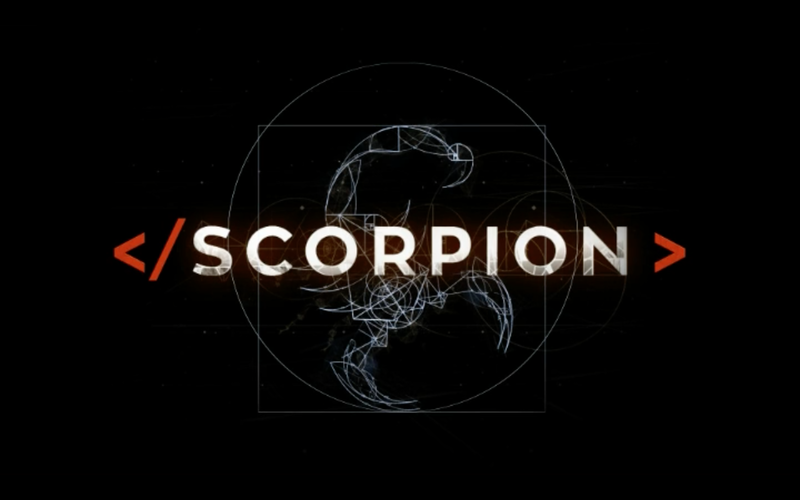 Each episode of Scorpion is full of action and near-to-death experiences from either third parties or members of the same team. In each episode we see this group of geniuses use their knowledge to help save people, and each of them has their own personal reasons to do so. We get to see discussions between each other, love confessions, and bits of each of the members’ past life… And we also get funny comebacks from them and a lot of sarcasm, especially from Toby. What I love about this series is that, even though they all have a rough past, even though they have their own personal conflicts, they are capable of overcoming them and working together to help other people, and they also care for each other. They become a family. And I know, I know that some the episodes seem too fake, too irrational, too illogical, and that some of the problems they face could be solved in a much more uncomplicated way but, it’s a series about geniuses and they’re supposed to show off their skills, and that’s what makes it SO intense! I found myself sitting on the edge of the bed at the end of every episode, wanting more of it. It was awful to have to wait a whole week for a new episode! So, yeah, if you like this kind of series that are packed of drama and action and a lot of brains then, this series is just for you. Don’t pay attention to the “Based on a true story” thing… Real life Walter O’Brien’s story is said to be a scam, as there are no proofs about his so called “missions” nor the IQ Test he said he took in order to know his IQ was 197.